Russia’s prime minister on Thursday said that this summer’s decision to raise the retirement age was the hardest the authorities have had to make in the past 10 years. 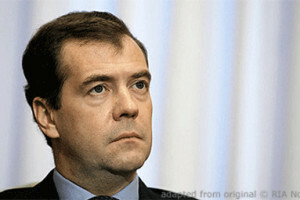 Speaking at his annual question and answer session with journalists on Thursday, Medvedev said that the “difficult” decision to raise the pension age was necessary. “Let’s face it, it was the most difficult decision the authorities made over the past decade,” Medvedev was cited as saying by Interfax. “From the beginning, everyone who was involved in preparing the decision knew that it would not raise the government’s popularity,” he added. He stressed that the reform was made with the “long-term” success of the country in mind.